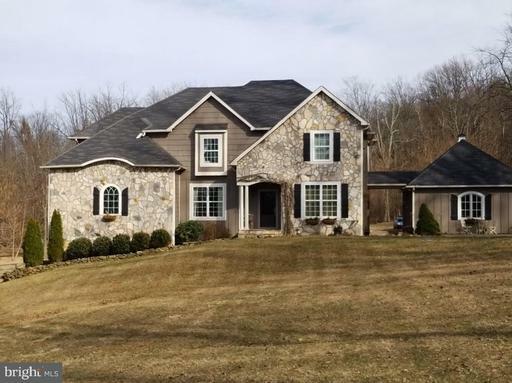 Custom Home on 10 acres.First floor master, huge rooms, gourmet kitchen with huge pantry, 2nd. floor theater room,2 fireplaces, Three and a half baths,20,000 watt generator hard wired into the home, walkout basement. Tons of privacy ! Close to 66,17,50 and 7! 1000 yards to the Appalachian Trail, miles of trails to explore.